If you missed the first two posts about this, you can find them HERE. When I got into the car after coming out of the doctor's office with the information that I was, in fact, having panic attacks, I felt a sense of relief. I wasn't dying, I wasn't going crazy, and there was actually something I could do about it. As an INTJ, I needed to know those things in order to begin the process of "fixing" it - in this case, the "it" being me. My doctor had offered to refer me to a counselor, and although I refused that offer for myself, I want to clearly state that I am not against counseling as a way of learning how to cope with stress and panic and anxiety. In fact, we sent a couple of our kids to counseling after we brought them home, because it can be very beneficial to have someone else lead you through it, to see yourself in it, and figure out how to come out on the other side. That being said, it was not something that I chose to do for myself, nor is that a decision that I regret making. As an INTJ, introspection is something that comes easily to me, it's part of who I am, so with God at the helm, I spent the next few months digging into His Word and seeking His guidance as I walked through this season of anxiety and darkness. For me, my panic attacks were completely and utterly irrational, and that really annoyed me! On an almost nightly basis, I would find myself huddled on the couch, sobbing, and begging God to help me, while the Hubs sat next to me, helpless to do anything more than pray - which he did a lot of. Over the Christmas season, it got to the point to where I didn't really want to leave the house, because when I did, I would panic. We turned around and went home a lot that month, or sat in a parking lot while I tried not to hyperventilate. It was - without a doubt - one of the craziest seasons that I have ever experienced. But here's the good news: I made it through and I came out of it with a much bigger view of God. On the nights when the Hubs didn't have an answer to my question, "Am I ever going to feel happy again?"... God was there. In the moments when I woke up in terror, heart pounding, terrified that I was dying... God was there. When it felt like everything I had ever been certain of was slipping away... God was there. 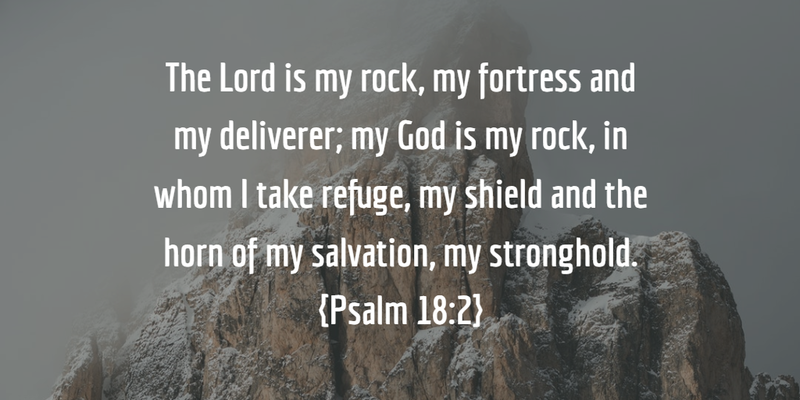 In the moments when it was all I could do to whisper His name, I began to add, "my Rock, my Refuge, my Fortress" to my prayer. When Satan would swoop in and attack, my defense was to cry out to God as my stronghold. 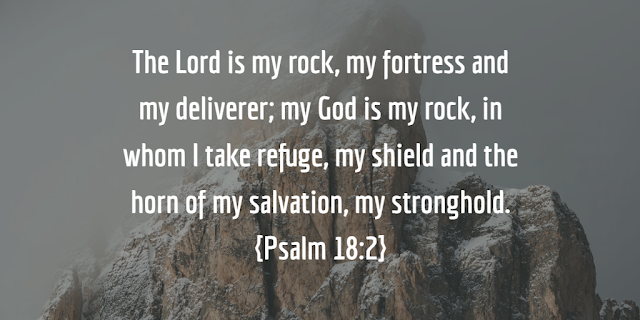 When the fears would overwhelm me, I trusted in the One who is my Deliverer - even as He was King David's. What became more real to me than my fear was the fact that our God never changes. He is the same today as He was yesterday, the same for me as He was for David. God revealed Himself to me in those times of terror in ways that I had never before experienced, and I began to count my panic attacks as blessings, for the way they drew me closer to my Savior. It was during these months that God also began to use the works of A.W. Tozer to convict me about my small view of Him, and I look forward to sharing about that in the next post. Remember: every person, every case, is different. If you are feeling lost and alone, please, by all means, find a qualified - preferably Biblical - counselor to help you walk through this time!